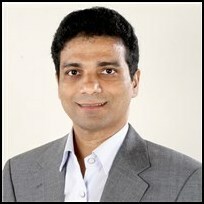 Anand has 17 years of experience in Retail enterprise products and solutions development. Anand’s Retail industry expertise includes Pricing, Promotions and Household Analytics. His technical expertise includes Predictive Analytics and Enterprise Technology architecture. He has consulted with and built solutions for clients such as Ahold USA, Staples, Oracle (Retek), Rite Aid Corp., Tops Markets and Giant Eagle. He leads the development of our Pricing and Promotion solution. Anand holds a Bachelor of Computer Engineering degree from V.J.T.I. Mumbai University in India. Pristine provides clear insights into past performance, as actual versus forecasted results are always reported. Mutually agreed upon scorecards report current financial and customer metrics and compare these results to both forecasted results and stated goals. As importantly, our AI machines continuously learn and modify future forecasts, creating a virtuous cycle of continuous merchandising effectiveness improvement and eliminating the need for extensive manual analysis and long merchandising decision cycles. Pristine goes beyond what happened in the past and why. Its focus is taking action, and it provides very specific recommendations that align your financial and customer goals, our next visit and next item customer forecasts, and the pricing, promotion, assortment, and display actions in your plan. It tells you what you should do any why so you can build the best possible plan for each promotion week or period. Pristine’s platform assures all decisions contribute towards your financial and customer goals. Since its foundation is the most granular forecasting possible; next visit and next items to buy for each household; the forecasted impact of all merchandising plans and proposed changes can be immediately known. Pristine will give you a high level of confidence in the plans you have in place and whether or not changes will be necessary to meet your financial and customer goals. Pristine’s platform facilitates action. Key to this are the business planning features embedded in the platform. It acts as a repository for your merchandising plans for the next 4 quarters, providing real time forecasts of KPI’s based on current plans. It also enables scenario planning at many levels; line item, category, department, and total store; providing complete transparency and a common set of assumptions to promote synergy across all disciplines. Pristine has invested in AI/machine learning for several years and now has a strong team of data scientists highly experienced in mining retail shopper data. We know how to forecast behavior and know how to build recommendation engines. We are a highly specialized, entrepreneurial group with deep industry experience and strong desire to help clients monetize their customer data and knowledge for competitive advantage. We understand retailing, merchandising strategies and tactics, and the data upon which merchandising decisions are made and should be made. We research consumer shopping behavior, the patronage trade off decisions they make, and the increasing ways in which consumers use multi-channel shopping to improve the convenience and value they receive. We are students of how new consumer technologies are increasing their control of the shopping experience, and are pioneers in recommending actions for adapting merchandising for the new world. We are leading the evolution towards customer-centric optimized merchandising, helping Retailers to be proactive and stay ahead. Our team of data scientists has worked with retail shopper data for many years. We understand how to mine this data and use it to predict future shopping behavior. We understand how to predict when a household will next shop and what they will next buy. We understand how to predict when specific categories and brands will next be purchased, and how to build these individual forecasts up to total store, total channel, and total chain recommendations. We passionately pursue and attain continued improvement by measuring our forecast accuracy, trying alternative techniques, and implementing the ones that work. We believe that ongoing financial success for retailers will depend on growing the number of happy and profitable customers. Happy households become more engaged. They will spend more money, shop more frequently, and broaden their spending across the retailer’s available assortment. We enable retailers to set individual household objectives (increase spend by x, increase frequency by y, increase breadth by z) and then provide purposeful and integrated merchandising recommendations. Our self-learning AI based algorithms continually adjust and improve these recommendations based on shopper response, assuring continuous improvement and rapid action with minimal analytic resources. We believe that ongoing financial success for retailers will also depend on merchandising synchronization. Existing customer analytics solutions focus on historical effectiveness measurement. They aggregate individual customer data by Items or Stores before the analysis thus losing the crucial Customer dimension. They provide tactic specific analytics (for instance to improve promotions), with no link to any customer strategy and no ability to institutionalize or to automate learning. For example, existing Pricing and Promotion Management solutions are divorced from customer analytics, lack integrated forecasting and do not provide integrated Price, Ad Promotion, and Personalized Offer recommendations. As another example, existing Assortment and in-store Placement systems don’t work in tandem with Pricing and Promotion systems. Pristine delivers continuous merchandising effectiveness improvement. Our AI machine learning approach automates the learning process, creating a virtuous cycle of improvement. It also eliminates the need to manually analyze results and decide on actions to take. Pristine has invested in AI/machine learning for several years. We have a strong team of data scientists highly experienced in mining and building models with retail shopper data. We leverage our deep knowledge of multi-channel merchandising and consumer behavior to deliver high performing predictive recommendation engines. Pristine delivers true merchandising optimization. Based on your customer objectives, we recommend specific actions for price and promotion optimization, personalized offers, assortment and display, and supply chain replenishment, by retail channel, all operating in unison. All your merchandising levers can work together like a true team. Pristine delivers purposeful recommendations, consistent with each retailer’s customer objectives, to grow the number of happy and profitable shoppers. Our AI algorithms and advanced analytics identify underlying shopping patterns to determine the best combination of objectives for each customer. For example, expanding the baskets for households that routinely shop versus increasing trips for households that don’t. Several objectives can be defined for each household based on their detailed purchases, and together with item specific forecasts provide the foundation for all merchandising recommendations. Pristine enables action. Unlike other merchandising platforms that focus on analyzing past behavior, Pristine focuses on each shopper’s future behavior. We use the most granular customer data that is available, usually individual transaction logs identifying the household and the items purchased, to predict when each shopping household will next shop, and what they will next buy. These household specific, item specific forecasts are the foundation for all household specific objectives and for all merchandising recommendations.